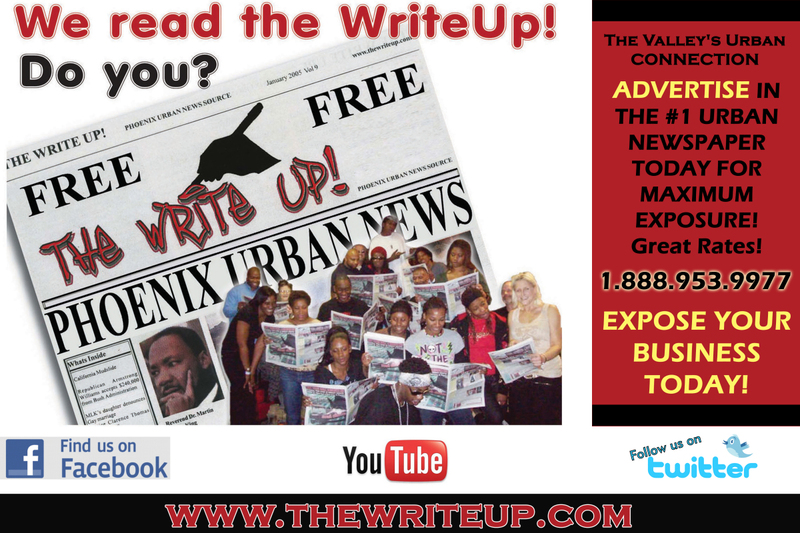 Welcome to the urban news source that is designed to attract the 1.5 million urban market in the valley! Get signed up for new Automotive Section now and get special discount rate on print ads. get signed up for our new Medical service section and get special discount rate on print ads. CLICK HERE, SEE WHERE METRO ARIZONA SPENDS MONEY! 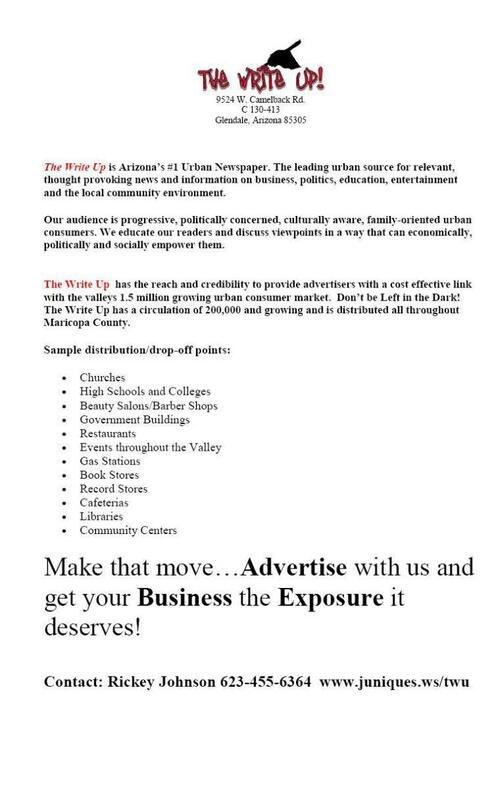 Juniques Marketing and Juniques Multi Cultural Connections is an authorized independent media sales representative for The Write Up newspaper. 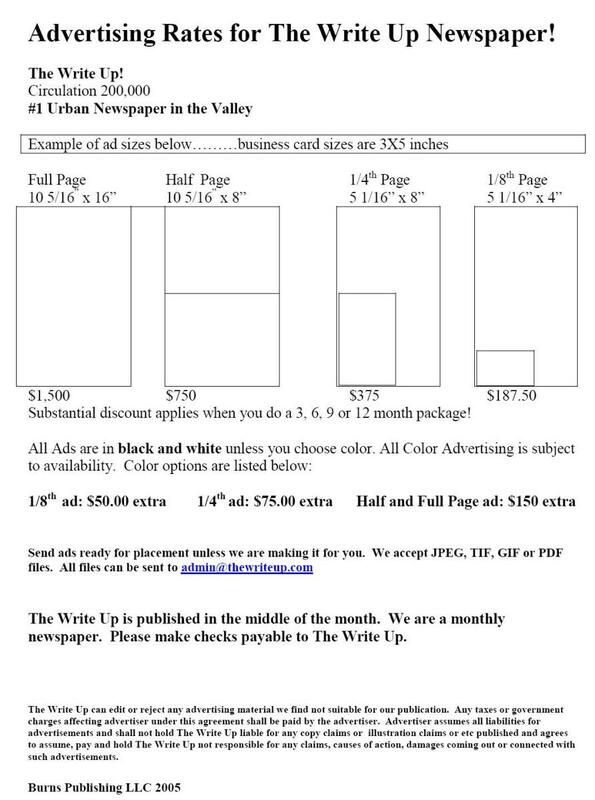 The Write Up, is the publication you want your business message to be seen!! Stay updated with The Write Up, get on our contact list.